From talking with him, somewhere around 5 of these 12a close gear ratio mazda comp transmissions were made. 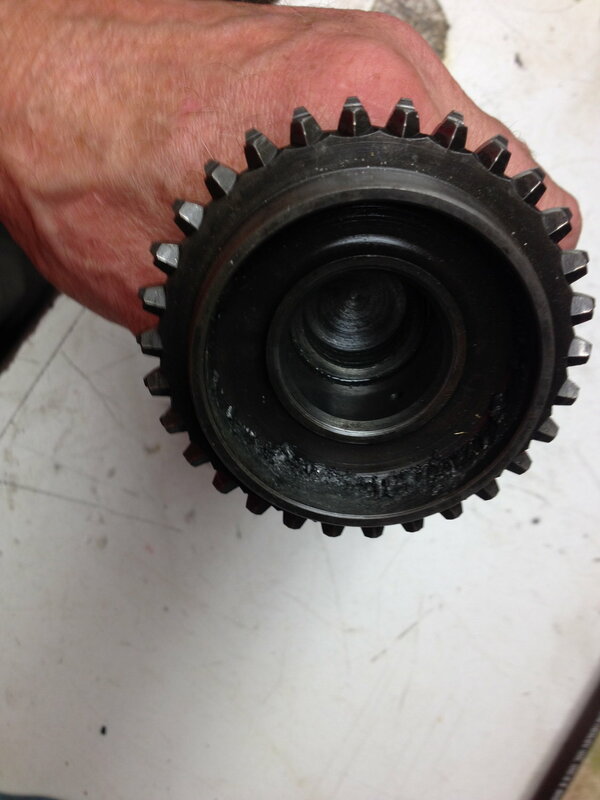 Below is what happens when the clutch and flywheel spontaneously disassemble. 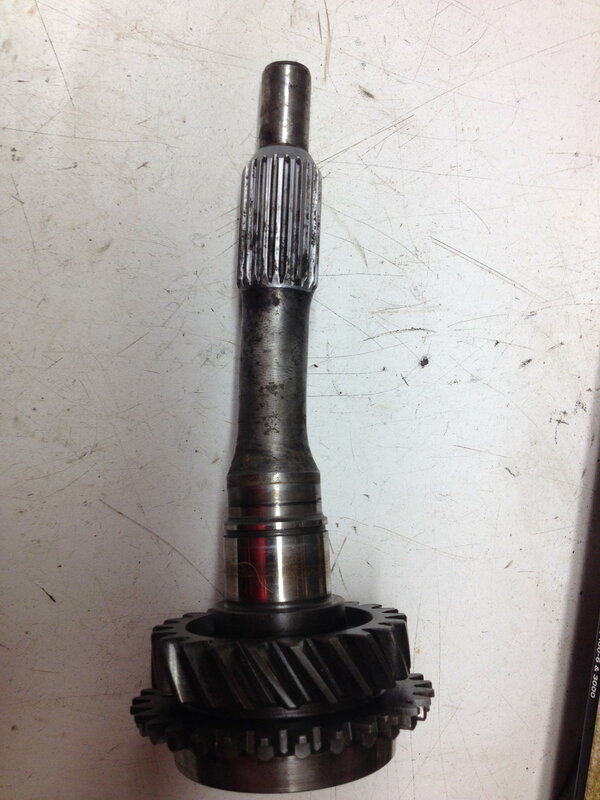 A: Someone has one of these transmissions and is willing to part with it. 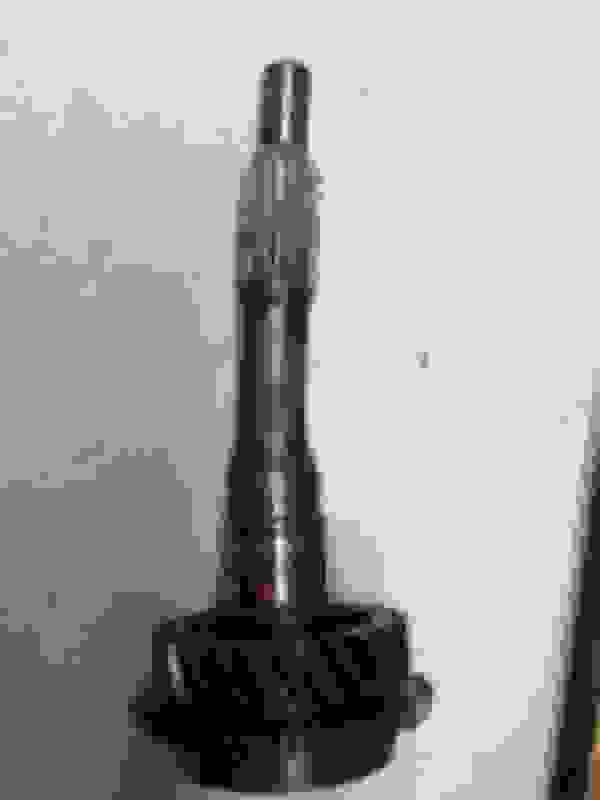 B: Could an FB/FC/FD input shaft work with modification or direct swap? C: Could an NA/NB Miata input shaft work? I can ask to get dimensions if someone has something they think might work. Miata NA/NB input shaft will work, you just need the nose machined down to look like the one you have there. dimensionally its going to be the same as any other rotary M box input shaft, but the gearing was different, so the gear might be different. How many teeth are on it? I have a feeling that it's going to be pretty different from any street production car. Last edited by peejay; 08-12-18 at 05:47 PM. Everyone, thanks for the information. This is an existing race car, in the owner's words, " the 7 was built for GT3 in '83....1999 in paddock at watkins glen, throttle stuck, million rpm ,clutch gave up, no scattershield , fuel line cut, fuel all over and surprise.... ignited." I forwarded this info back to him and will update as he is able to get spline counts, measurements or luck with finding that part number through mazda motorsports. Edit: Straightening is complicated by a hairline crack. It might be weldedable, stress relieved and straightened if all other options fail. Last edited by swbtm; 08-14-18 at 11:50 AM. You could also post your question on prodracing.com They plenty of Rx7 racers on there site that maybe able to help you. Any 6speed close ratio trannys out?